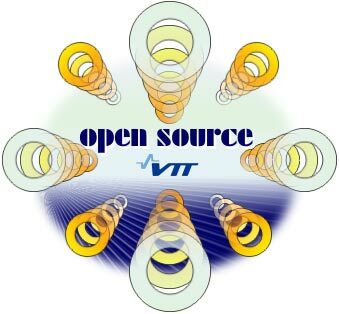 This site is the source for all free / open source software (FOSS) activities at VTT Technical Research Centre of Finland. Click the 'software' link on the above menu for a list of open source projects coordinated by VTT. The 'research' page gives information on open source research at VTT. Check 'news' to see what's up right now. If you want to participate, click the 'contact' link either on this page or under the project in question for details on how to get in touch with us. Open source software is software which is available with its source code and distributed under a license that allows anyone to use, modify and distribute the modified or unmodified version of the software. An alternative term to open source software is free software, where the word free refers to liberty not price. The definition of free software is almost identical to the definition of open source software. Primary differences between the free software and open source software movements are ideological. The acronym FOSS (Free/Open source software) is sometimes used as a generic term. Today, free and open source software development seems to be a global movement that will change - if not have already done so - the way of software development as we have known it so far. As a research organization, VTT seeks to understand this multifaceted phenomena and therefore participates in diverse activities on the field of open source research. Furthermore, various demonstration and tool software is created in several research projects. These software programs are rarely complete commercial products, but can still be of benefit to many parties. VTT's sees it rational to release such software as open source. The open source approach helps to disseminate VTT's research results, making them available to much more people. Valuable R&D resources may also be saved by going to open source, because external developers can be attracted to the project and code from other projects can be re-used. © VTT Technical Research Centre of Finland 2004-2008. The text and images are published under GNU Free Documentation License.